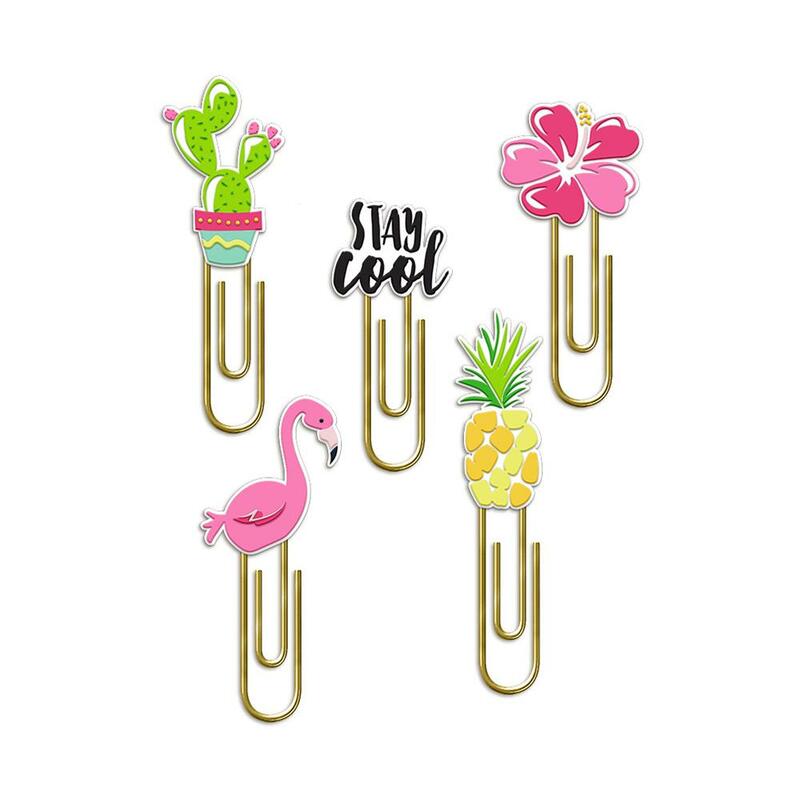 In this package you'll find five (5) Gold Paper Clips that are embellished with Tropical Icons. Toppers are made of Silicone. Part of the Hello Sunshine Collection by Fancy Pants.